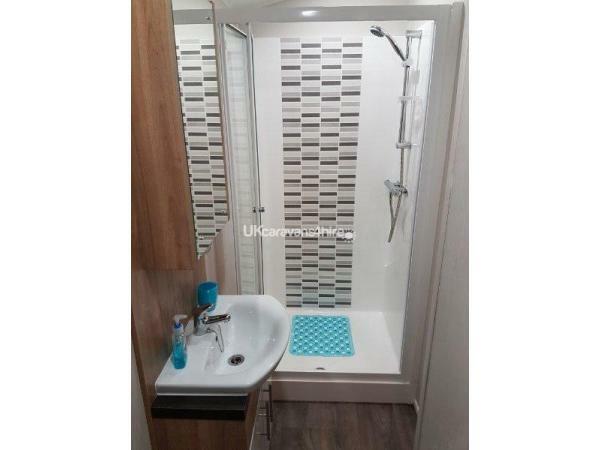 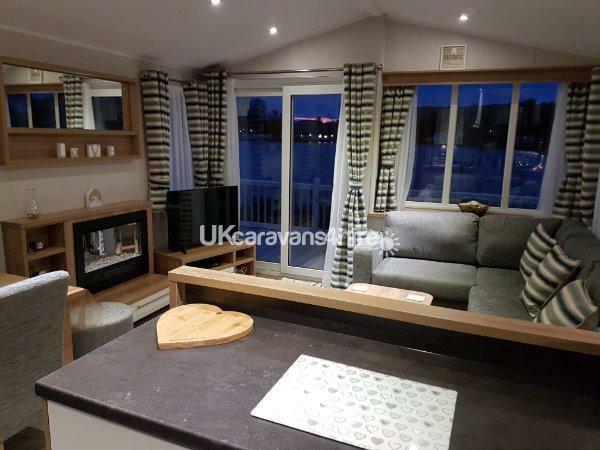 Plot 21 Lakeside Crescent has one double bedroom, two twin rooms (all have wardrobes/drawers with ample storage space) there's also a sofa bed in the living room to comfortably accommodate a family of 6-8. 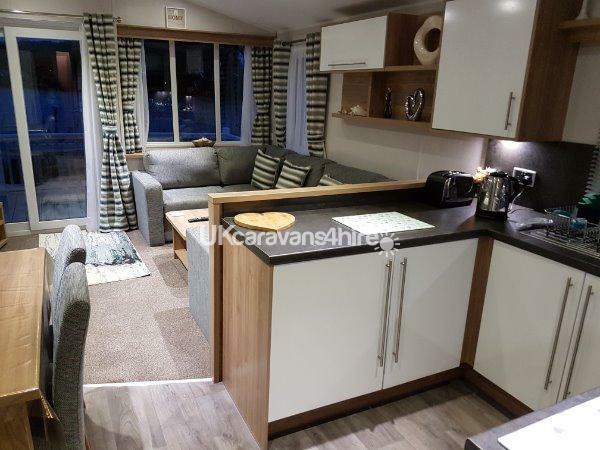 In the living room we have a large flat screen television (with Free-view) separate DVD player, electric flame effect fire and modern comfortable seating, there is also a separate dining area with seating for 6. 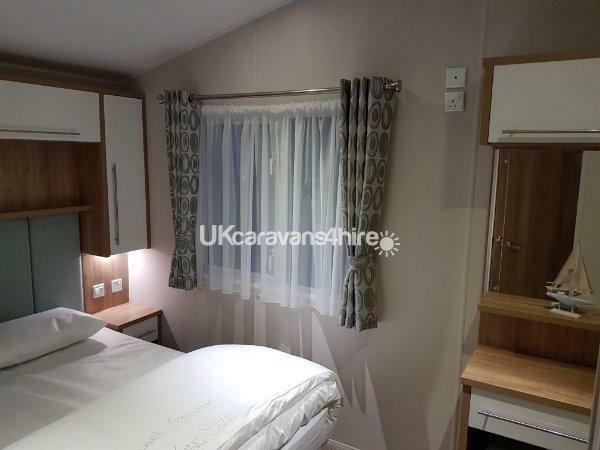 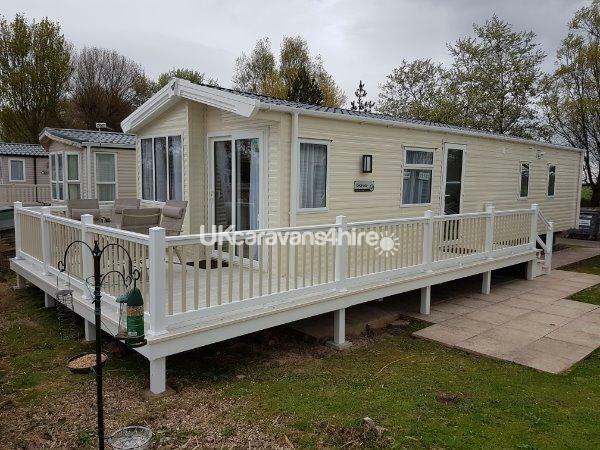 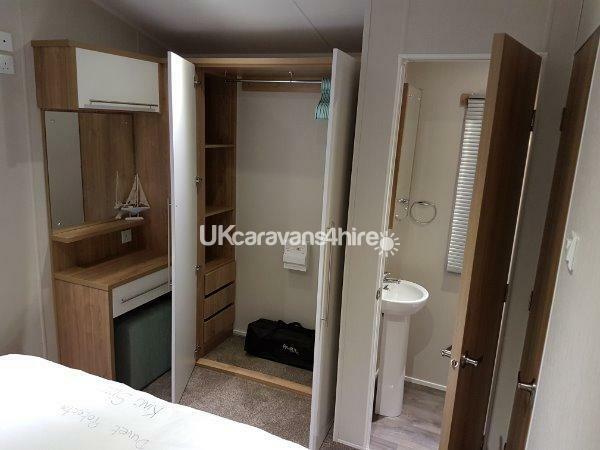 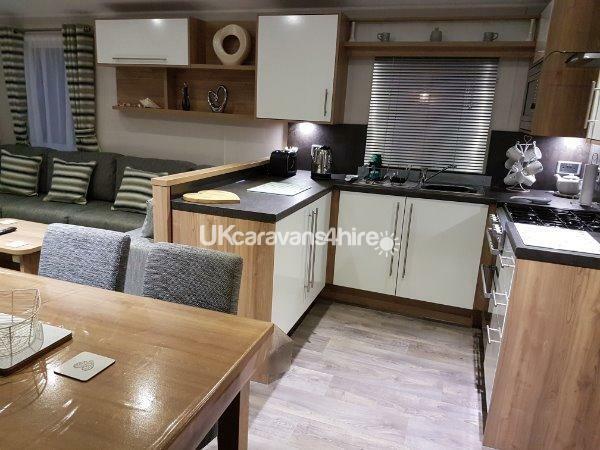 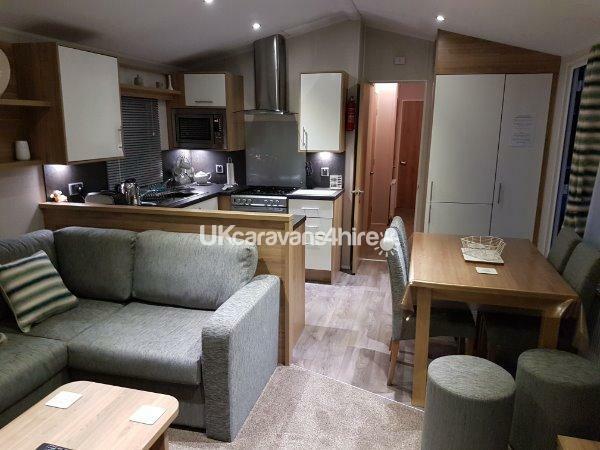 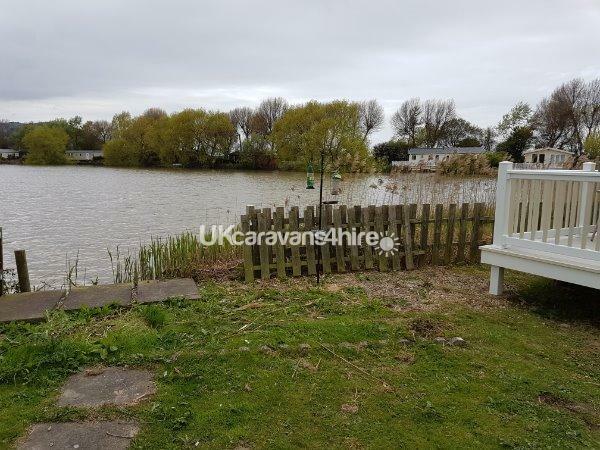 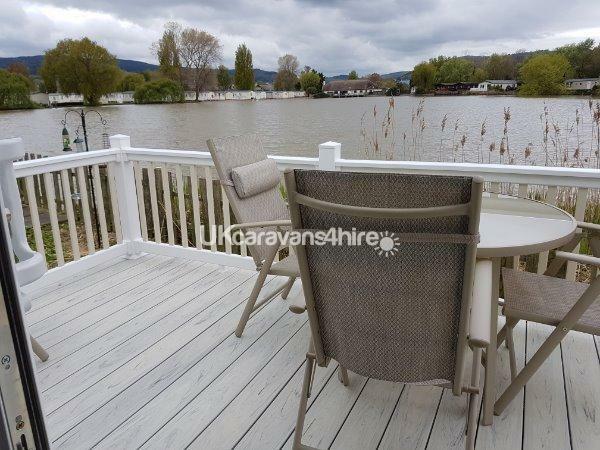 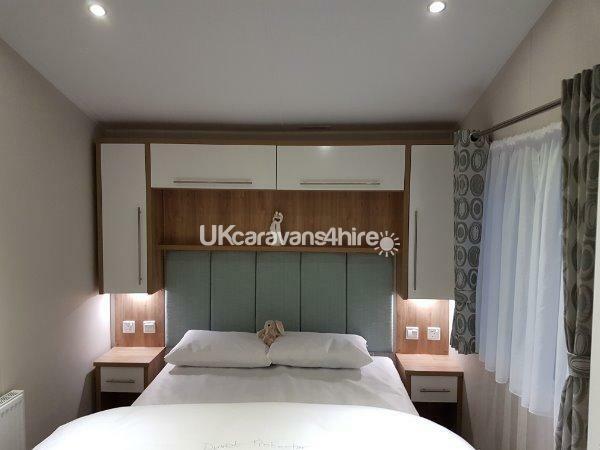 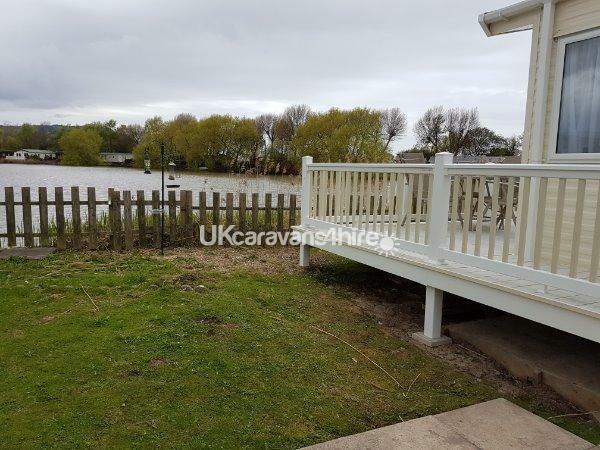 Our Lakeside Crescent caravan is situated directly on the edge of the fishing lake and has patio doors in the lounge opening out onto a raised decking overlooking the fishing lake and the Exmoor hills.